Preheat the oven to 180 degrees C / 350 Degrees F / Gas Mark 4. Lightly grease a shallow 20cm / 8inch square cake tin. Place the butter, caster sugar and golden syrup in a saucepan and cook over a low heat, stirring constantly until the butter and sugar melt and the mixture is well combined. Remove the saucepan from the heat and stir in the rolled oats until they are well coated. Add the chocolate chips and the sultanas and mix well to combine everything. Turn into the prepared tin and press down well. Bake in the preheated oven for 30 minutes. Cool slightly, then mark into fingers. When almost cold, cut into bars or squares and transfer to a wire rack to cool completely. 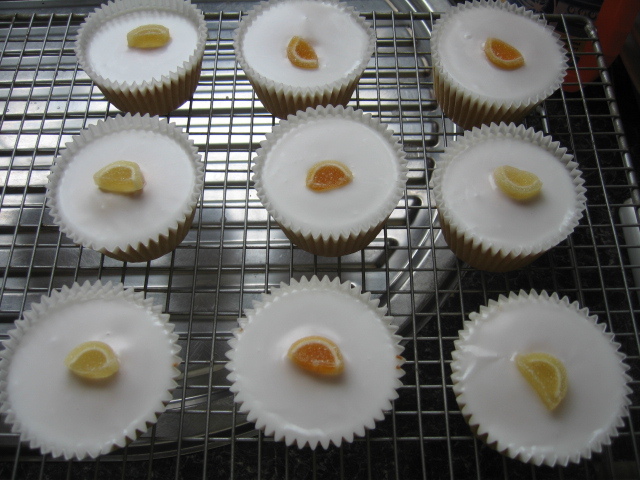 I had some lemons in the fridge that needed to get used up, so I had a browse through some recipe books and found this recipe from Nigella Lawson. Then gently mix in the rest of the flour and finally, the lemon juice. Sprinkle with caster sugar (about 2 tablespoons should do it) as it goes into the oven. 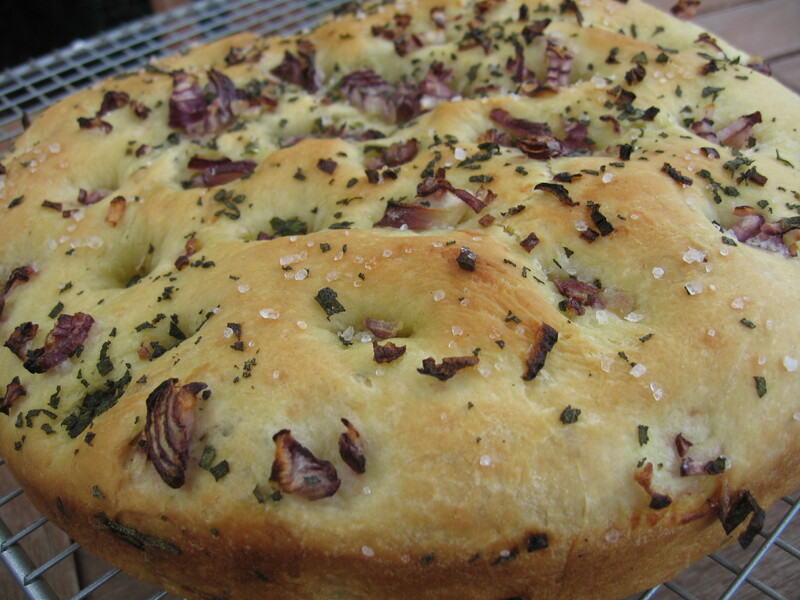 Focaccia, with its characteristic texture and dimpled surface, has become hugely popular in recent years. This version has a delectable red onion and fresh sage topping. Pour the water and oil into the bread pan. 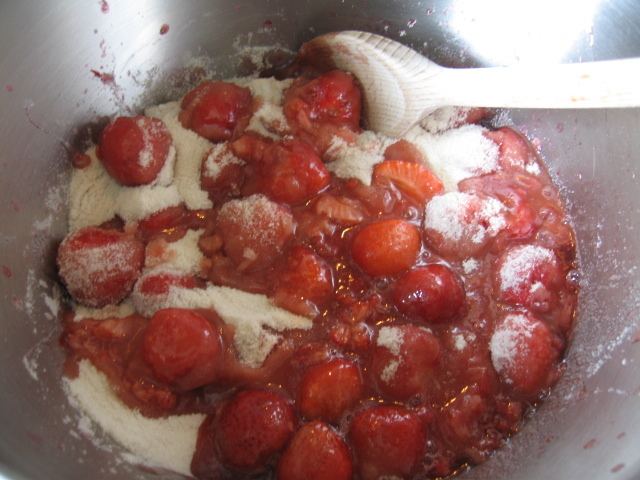 Reverse the order in which you add the wet and dry ingredients, if necessary. Sprinkle over the flour, ensuring that it covers the liquid. Add the salt and sugar in separate corners, make a small indent in the flour and add the yeast. Set the bread machine to the dough setting. If your machine has a choice of settings use the basic or pizza dough setting and press start. Lightly oil a 25cm-28cm/ 10-11in shallow round cake tin or pizza pan. When the cycle has finished, remove the dough from the pan and place it on a surface lightly dusted with flour. Knock the dough back (punch it down) and flatten it slightly. Sprinkle over the sage and chopped red onion and knead gently to incorporate. Shape the dough into a ball, flatten it, then roll it into a round of about 25-28 cm/ 10-11 in. 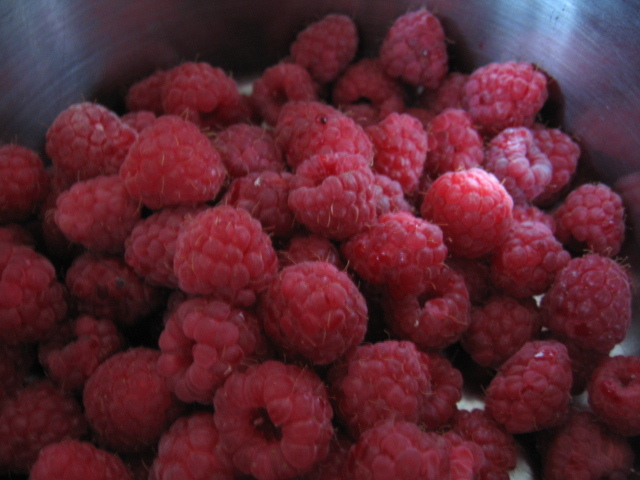 Place in the prepared tin. 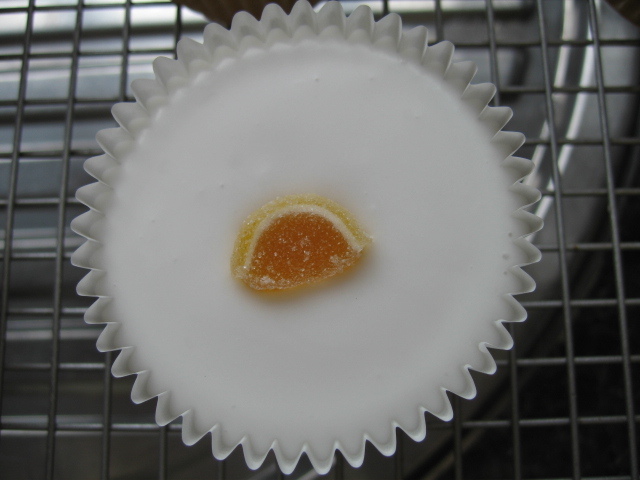 Cover with oiled clear film (plastic wrap) and leave to rise in a warm place for 20 minutes. Meanwhile, preheat the oven to 200 degree C / 400 Degrees F / Gas 6. 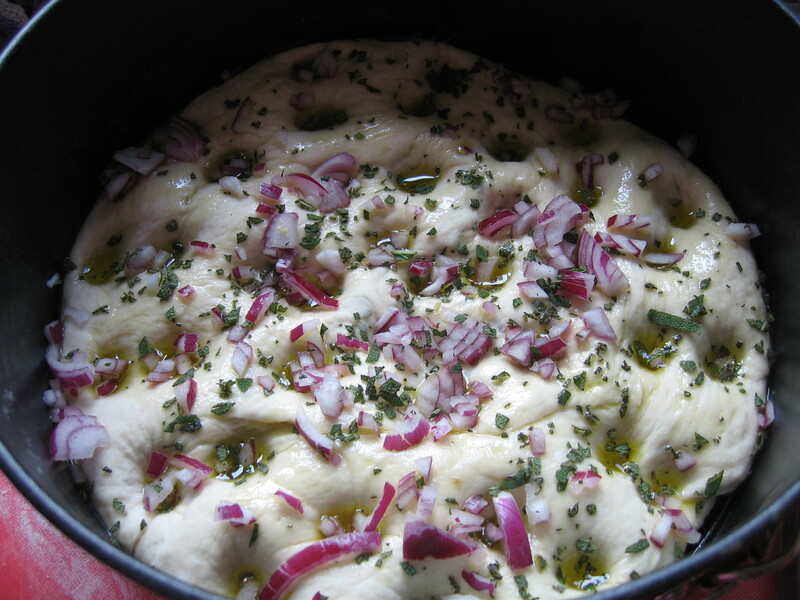 Uncover the risen focaccia, and using your fingertips, poke the dough to make deep dimples over the surface. Cover and leave to rise for 10-15 mins or until the dough has doubles in bulk. Drizzle over the olive oil and sprinkle wih onion, sage leaves, sea salt and black pepper. Bake for 20-25 mins, or until golden. Turn out on to a wire rack to cool slightly. serve warm. Mix together, cling wrap and chill in the fridge until required. 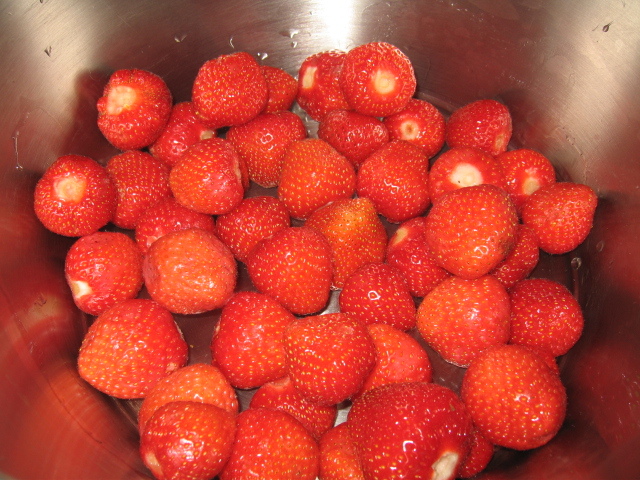 We have been making Jam this afternoon… the whole house smells good enough to eat. Here is the recipe…. 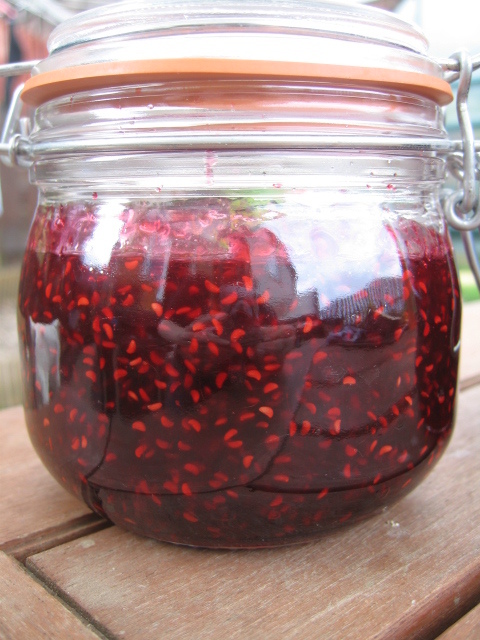 Because we had more strawberries than raspberries, we only had enough rasps to make a small kilner jar of rasp jam. 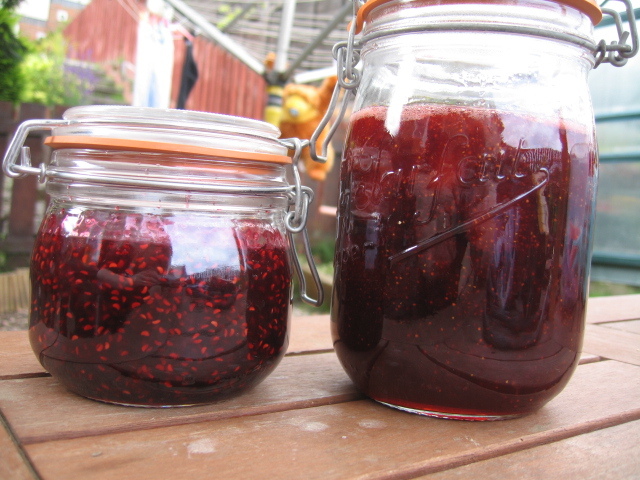 I halved the quantities used below for the strawberry jam when making the rasp jam and only used the juice of a quarter of a lemon. 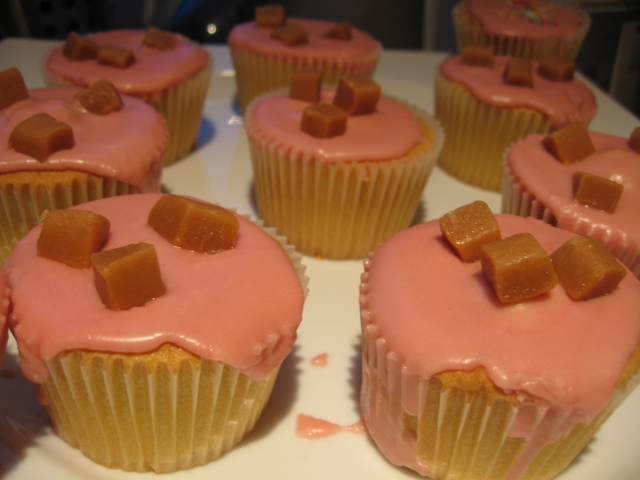 Also a wee note, I used normal unrefined organic caster sugar that contained no pectin and got a good set. 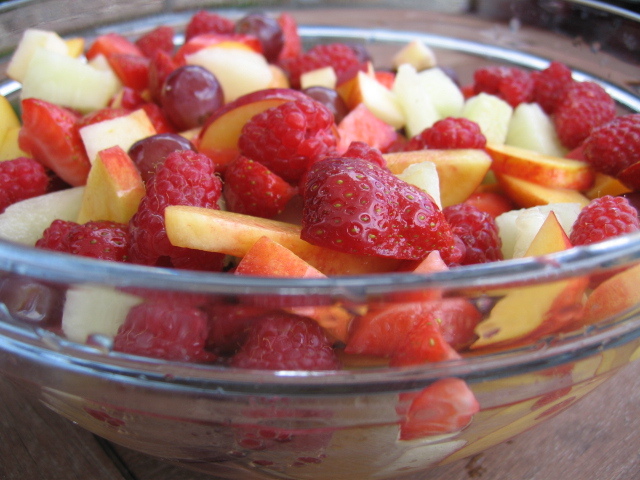 Wash the fruit if necessary and drain well. 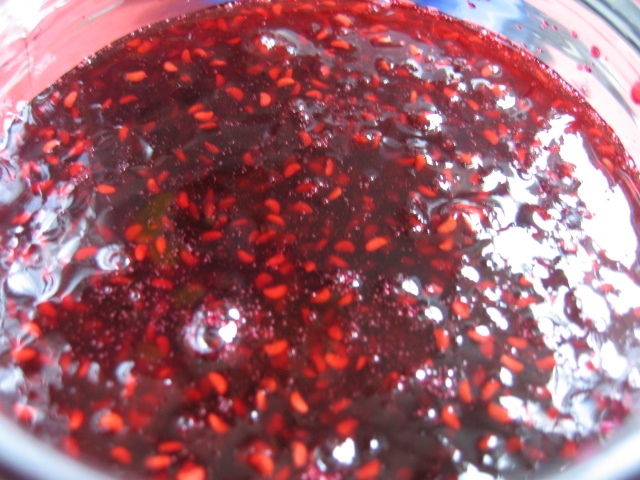 Put into a preserving/jam pan. 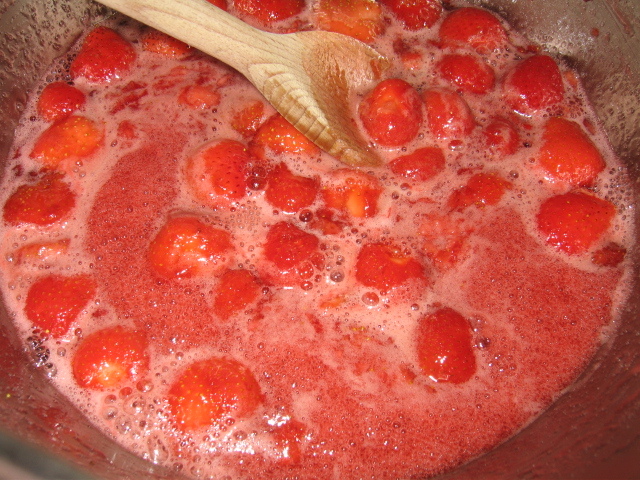 Simmer until some juice has been extracted. Add the sugar and lemon juice, stirring until it has dissolved. 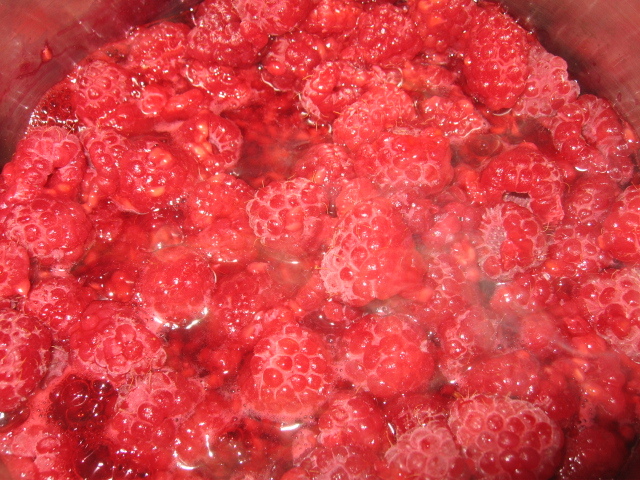 Bring to the boil and boil rapidly for 5-10 minutes until the jam sets when tested. 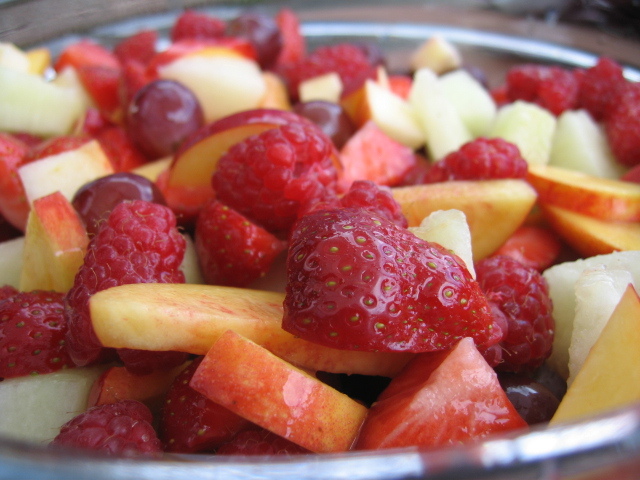 Remove the scum and leave to cool slightly so that the fruit will not rise in the jars. Pot and seal while still warm. Make your own : Chinese 5 Spice Powder. I bought some pork belly strips with a view to sticking them onto the bbq this weekend, I thought I would give them a try instead of pork ribs, easier for the kids to eat (no bones) also it is a relatively cheaper cut of meat.. and tasty to boot! Found a fab recipe on Page 32 – Five-Spice Rib-Stickers.. sounded fab so got stuck in and started to make it, only had one problem, I didnt have any Five Spice, so had to make my own from scratch, grinding the whole spices to powder in my pestle & mortar. Combine all the spice powder together, use what you need and store the rest in an airtight container. Mix all these ingredients into a bowl and add the pork belly/ribs and marinade overnight in the fridge.